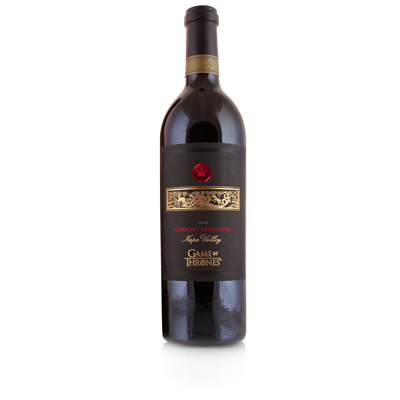 Winemaker, Bob Cabrel, sought the finest grapes from Napa Valley to create this superb Game of Thrones wine. Following their fermentation, Cabral chose to rack each lot of wine individually to allow them to age separately in order to select the best for this breathtaking Cabernet Sauvignon. The result would warm even a White Walkers' icy heart. This Napa Valley Cabernet Sauvignon from 2014 is, at first whiff, entwined with blackcurrant and vanilla due to being aged in French oak barrels. The flavors on the palate are long and intense with smooth tannins dancing with cocoa in the mouth. This Game of Thrones wine is an intricate work of art crafted for a Night's Watchman or a royal Targaryen.